Honda motorcycle and scooter India Limited, one of the biggest two-wheeler market leader, is mulling over to launch an smallest version of the company most popular super motorcycle brand, Honda CBR. 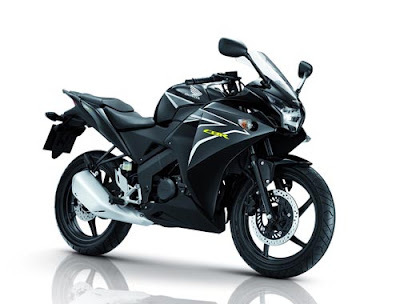 The new version will be known as Honda CBR 150R. According to some news reports, the new CBR 150R is expected to be launched by this festival season along with their elder sibling, Honda CBR 250R in the Indiana auto market. Honda has also introduces the CBR 150R in Thailand. After getting huge success in Thailand, the company looking forward to launch in India. However, HMSI has not yet announced the launch date and price of the new CBR 150R in the country. But it is speculated that the new Honda CBR 150 R might be powered with a 149.4cc, 4-stroke, Single cylinder, 4 valve, DOHC machine which can expect to awesome power output of 18.5Bhp at 10500 rpm and peak torque of 16 Nm at 8500rpm. The front look of CBR 150R seems like Honda VFR1200F. 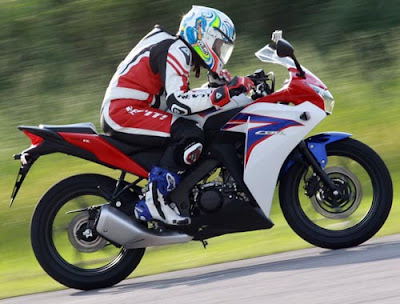 Honda CBR 150R equipped with features a 276 mm disc with Telescopic forks shock absorber at the front and 220 mm disc Mono shock suspension at the rear. The transmission system of the bike come with 6 speed along with Wet Multiple Disk clutch. It is believed to be priced around Rs. 1 lakh. The new bike might get tough competition with the same 150cc power engine like Hero Honda CBZ Xtreme, Honda CB Dazzler, Yamaha FZ and more. While, as per the price point will take on with Yamaha R15 and Hero Honda Karizma ZMR.